The monthlong campaign, which supports student scholarships, runs until Nov. 16. Zettler, a first-generation college student whose parents never completed high school, has been giving each year to help this group. “I’m a big supporter because not only do I know what it’s like to be this type of student, I know many students who without having received a scholarship would have never finished college and gone on to positively impact our economy and community,” Zettler said. 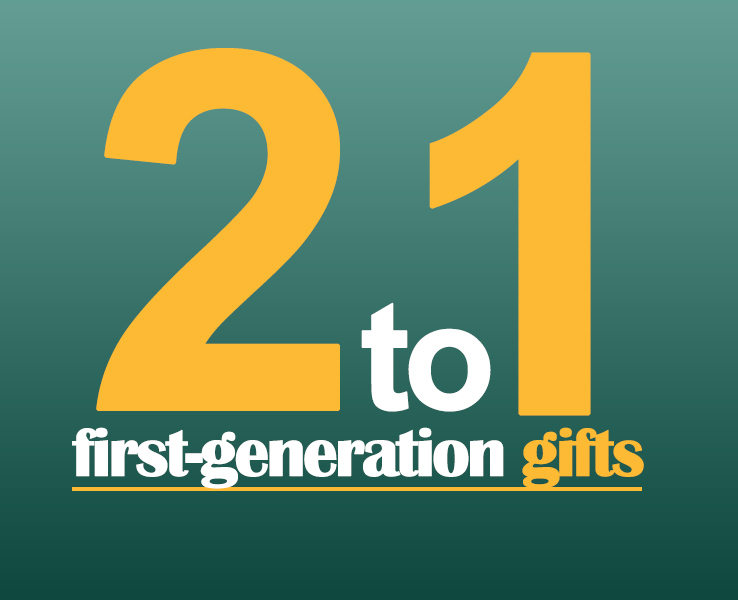 This year, his gift will go even further as every $1 donated to First-Generation scholarships is matched by the state with $2, tripling the impact PBSC employee contributions have on the lives of students. It’s not only first-generation students that the campaign aims to help but students in all areas, especially those who are struggling financially. This is what prompts many employees such as Fred Francois to give. Francois, who has increased his donation every year since his arrival to PBSC in 2015, hears firsthand about the financial challenges students face. To show appreciation to employees like Francois and to say thank you to those who participated last year, the Office of Institutional Advancement is hosting “Thank You!” events on each campus. These events, which are open to all employees, will also provide an opportunity for other employees to join the Success Circle and support scholarships for students. Emails will be sent out with more details about each campus event soon. There will also be campus competitions, where the campus with the highest percentage of employees that participate through payroll deduction will claim The Provost Cup prize. That campus will also get funding to hold a campus celebration and will have bragging rights for a year. The Belle Glade and Loxahatchee campuses took the honor in 2017. The Provost Cup will be presented at a Success Circle Donor Appreciation event on Feb. 15, 2019. The goal of the campaign is to get 100 percent employee participation. Employees can sign up to support Success Circle through payroll deduction, online donations or by check made out to PBSC Foundation (all contributions are tax deductible). For more information, visit www.palmbeachstate.edu/SuccessCircle, or contact Danielle Sylvester at sylvestd@palmbeachstate.edu or call 561-868-3543. Every dollar we give is making higher education goals a reality for our most needy students. It’s totally worth it! Mr. Zeller and All PBSC Employees: Thank you for all of your donations.